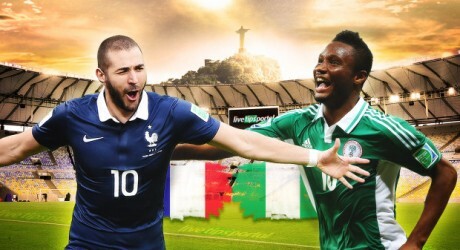 France vs Nigeria match will be played today at 2100 PST and 1600 GMT. The match of France v Nigeria will be played at the Estadio Nacional de Brasilia, Brazil. This is another important match of round of 16 and this is the stage of do or die. If a team does not play well, then that team will not only lose the match but also get out of this world cup. The match between France and Nigeria will be interesting as both teams have some star players and they can even show their best performance in this match.